The climate is getting warmer, and with that comes spring cleaning time! Our bathrooms are one of the most dreaded rooms in the house for some people. There are so several nooks and crannies to get into that, and often times, your bath mats go neglected. 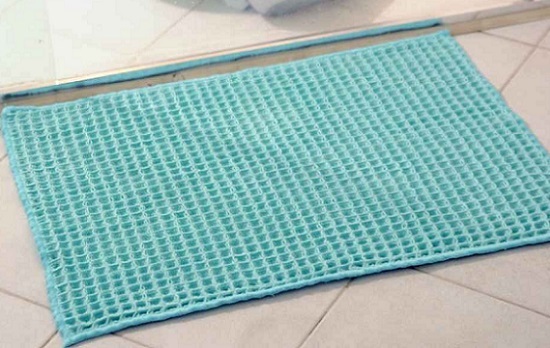 Sure, your toilet and sinks are cleaned to perfections but how often do you clean your bath mats? Whether you have bath mats in your tub or on the floor outside, with the rest of your cleaning, sometimes the easiest thing to do is to throw the mat into your tub with the chemicals and be done with it. However, there are easy ways to clean your bath mats while making them last. All packaging for bath mats, whether rubber or fabric backed comes with care instructions. Many bath rugs can be run through a commercial washing machine. However, you should always read the instructions. Running some materials through a washing machine can actually break down the materials. Other materials can break down in high heat, which means running them through a dryer would not be advisable. Following the care instructions is the first step to ensuring that you are not putting your bath mats at risk and having to spend more money to buy a new one. A lot of things can stick to your bathmat. Hair and particles can get stuck in the fibers and materials of your mat. To start off your cleaning, simply take your bath mat outside and shake it out. This helps to get rid of the hair and dirt that stick to the mat without clogging your washing machine. You can also do this between cleanings to prevent grime from building up on your rug. Cleaning professionals recommend doing this once a week, even if you are not going to do any deep cleaning. This is notably an important tip if you have animals, such as cats, that will track grains of dirt or litter into your bathroom. These grains will stick to your skin when you step on them and are rough on your shower drains and washing machines. Shake it out to make sure that you don’t destroy your appliances. Make sure that you are using the best products for the material your bath mat is made out of! A good cover all is a solution of dish soap, white vinegar, and water. It’s natural, won’t bleach out any fabric that your bath mat is made of, and usually doesn’t require a run to the store to get it. It also acts as a powerful deodorizer and stain remover. If you intend to wash your bath mat by hand, throw it in your tub and scrub with this solution. If you are putting your bath mat through your washer (remember, only do this if the care instructions say it’s ok! ), most laundry detergents will do the trick. For most bath mats, bleach is not advised as it eats away at the rubber or rubberized coating on the back. Products that say “Plus Oxy” will also help to remove any stains that you may be concerned with on your bath mat! Even if your bath mat care instructions say that you can machine dry, it’s always best to air dry these mats before their next use. These mats collect moisture, which puts them at risk of growing mold. Air drying them by hanging them over the side of a surface (or by placing them outside) prevents mold growth. It also helps you to preserve the rubber or rubber coating and any adhesive that may have been used in the mat’s production. Drying them in the sun helps to sanitize your mat. This process, though it does take longer, ensures that your bath mats will last longer. 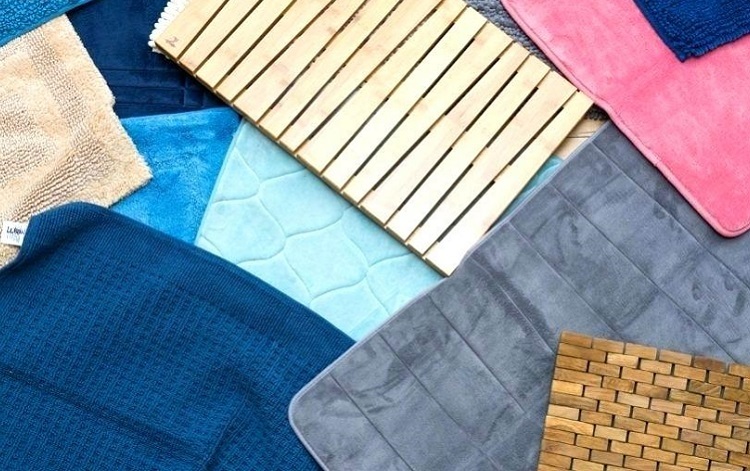 While it can seem like an oversight, treating your bath mats with respect is something that you have to consider carefully. Always put your mat over the edge of the bathtub or shower curtain rod to dry after every use. While this can be a hassle, especially if you own a bath mat that sticks to your bath or your floor, it can help to preserve your mat a little longer and helps it to dry between washes. While cleaning bath mats can be tricky, making sure that you get the most out of your clean is essential. Paying attention to care instructions, shaking out any debris regularly and washing your mat every so often can increase the longevity of your bath mat. Don’t make your bath mat an oversight when you do your spring cleaning! Follow these steps to get your mat squeaky clean easily!